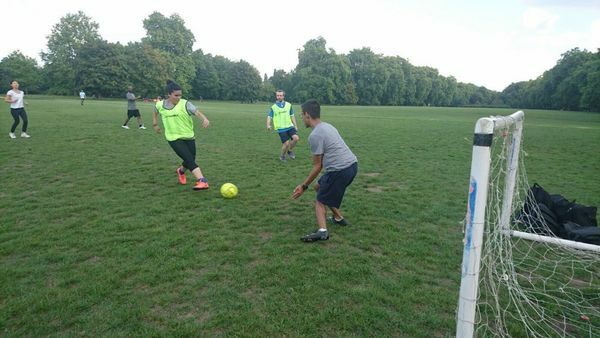 We provide opportunities for men and women to play fun football together. We aim to have equal numbers of men and women for each game. We play in a variety of venues from parks to booked pitches around London. 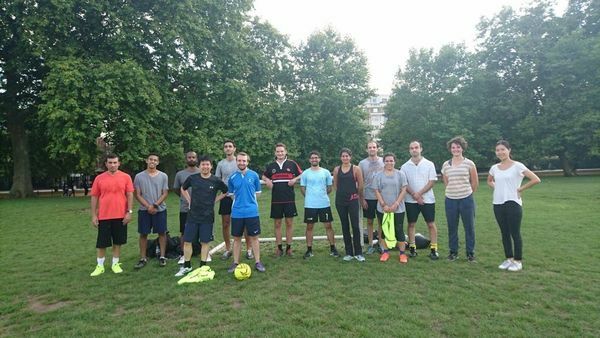 If you are over 18 and looking to play casual football and meet people in London, we are for you! We welcome beginners and intermediate players. This is more about getting people active and running about, rather than being ultra competitive. You do not have to commit to coming on a regular basis. Just sign up and see if you like it. 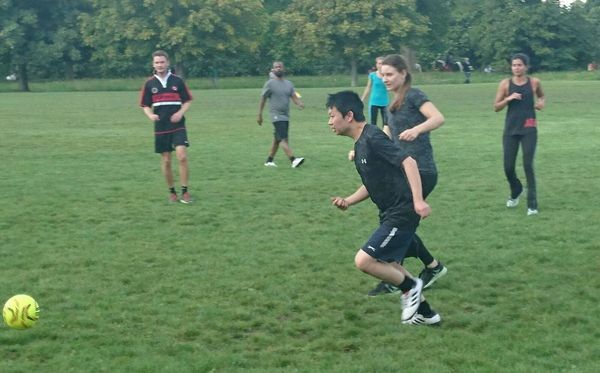 It’s a great way to keep fit and meet new people in a fun environment. Goals, balls and bibs will be provided. To see and sign up to our upcoming events, please visit our meetup group. Please contact hello@socialsportsmix.co.uk if you have any questions. Join our meetup group to be notified of upcoming games. Games are typically 7-a-side or 11-a-side. We start off with meeting at the venue before the game to organise teams and for everyone to get to know each other. We aim to have roughly equal numbers of men and women for every game. Games are usually an hour long. Everyone has a short turn in goal. We promote a friendly, supportive atmosphere. If you need to early it’s fine. If there is enough interest, we go to a local pub afterwards!